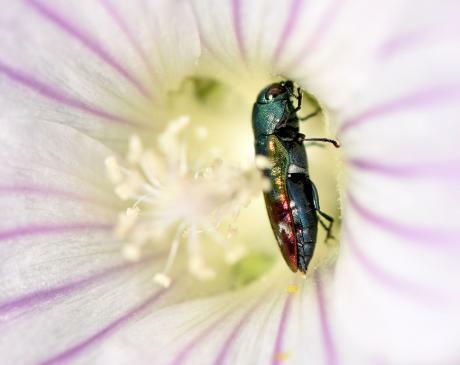 The first picture (left) is of a Jewel Beetle (Family: Buprestidae) on an Austral Hollyhock Lavatera plebela flower.But this group of beetle have large eyes, are usually colourful, sometimes metallic and most larvae of this family are wood borers. The next photo (centre) is of the Two spotted Lady bird, Adalia bipuncata (Family: Coccinellidae). 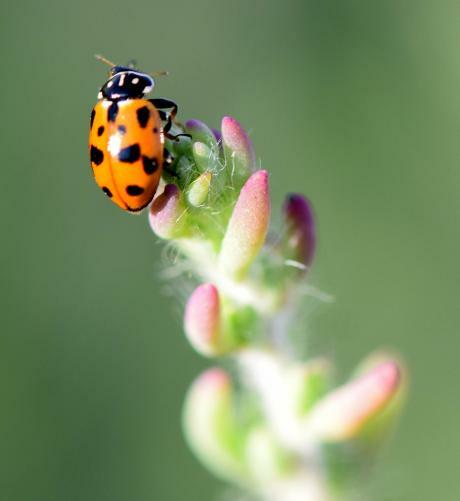 This lady bird was introduced from Europe to control exotic aphids. The form can vary a bit. Some are primarily black with red spots, others mainly red with black spots like this one. The number of spots can also vary. The last one (right) is a bit tricky. 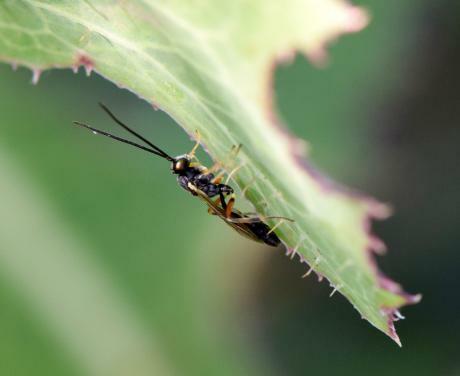 It's a type of wasp so Hymenoptera: Apocrita. Hard to tell the family, but I could guess as either Braconidae or Ichneumonidae. I can't narrow it down from the photo. But a major difference between those two families is wing venation. Ichneumonid wasps have an extra vein and Braconids don't. But there's always exceptions to the rule in nature! And both are major parasitoid families.